I never thought I would suggest to my friends to eat out in Peckham on a Saturday night. 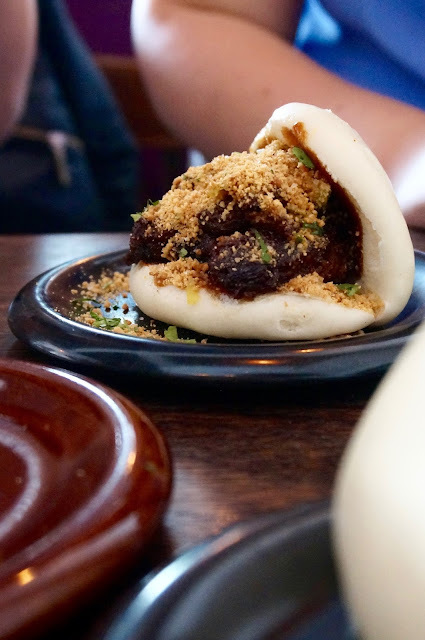 After reading reviews on Timeout, I was intrigued to try out Mr Bao, a Taiwanese restaurant serving fluffy white baos right here in South East London. Peckham was pretty rough when I lived there 5 years ago, now it's 'up and coming'. Ok let's see what the fuss is all about, cos not all good restaurants are in Central London right?! First good thing about Mr Bao, they take reservations - hurray! 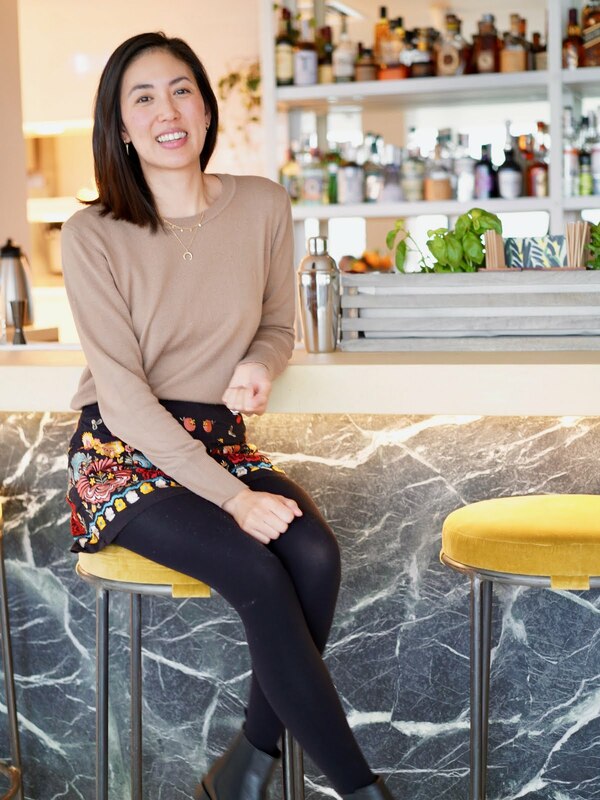 I remember queuing down the street to eat in Bao in Soho, only to be sat in a cramped restaurant facing the wall! 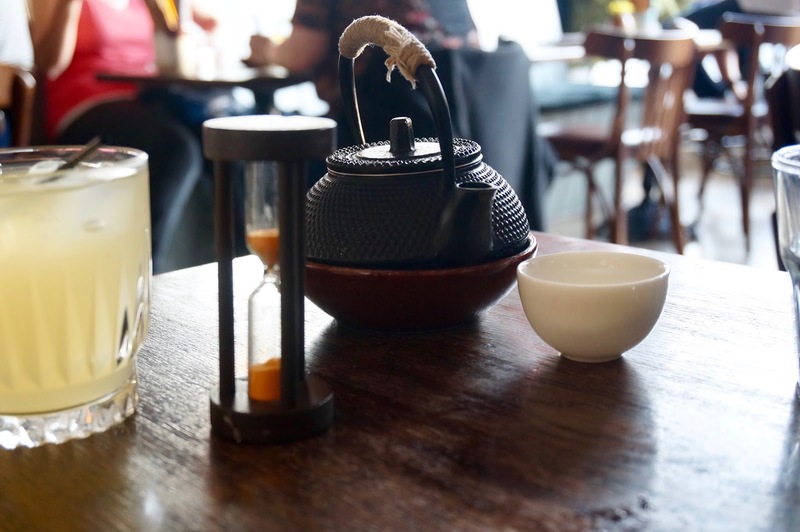 The guys at Mr Bao knows Londoners are impatience people. Even though we couldn't book a table that day, they take down your number and give you a call when a table is ready. 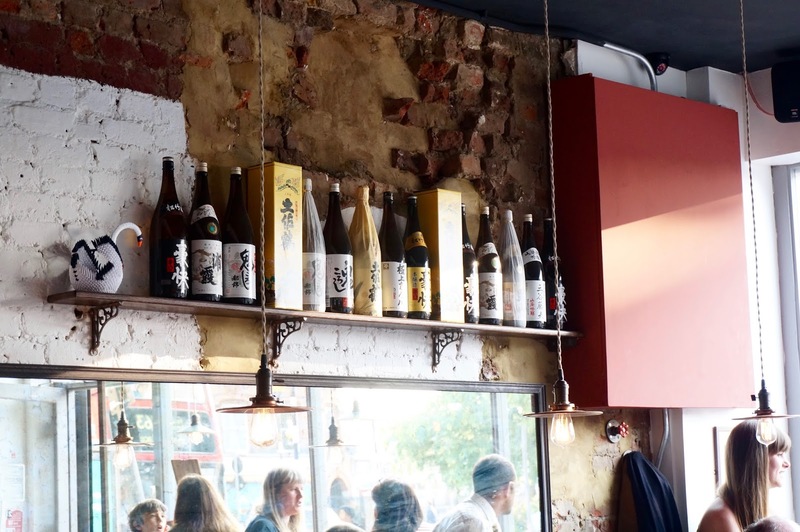 The restaurant is small but airy, with open fronted windows, wooden tables with funky light fixtures and bar area. 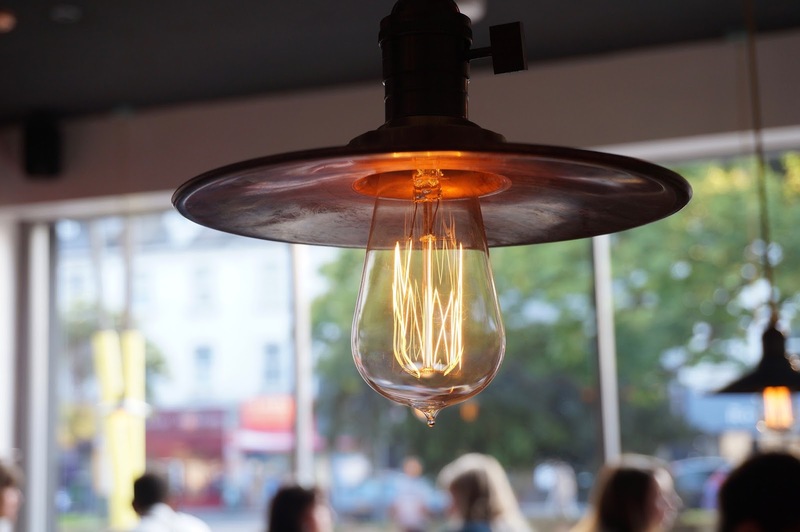 Loving the rustic chic vibe, we could almost pretend we're in Shoreditch. 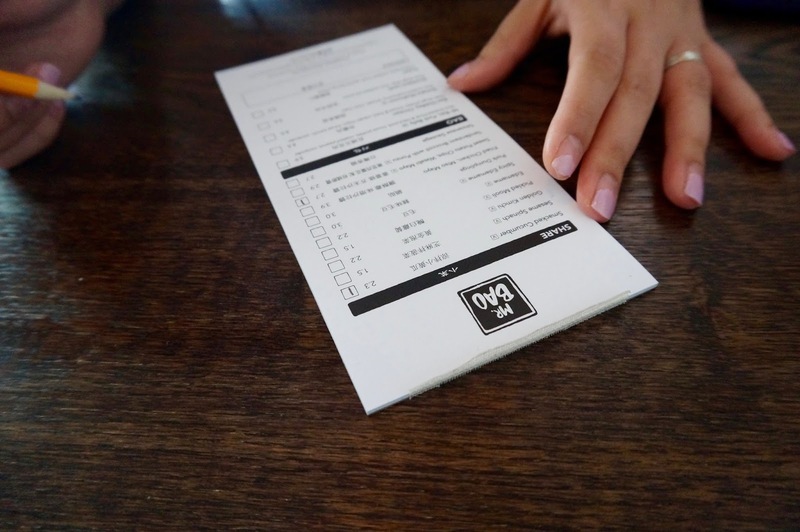 The menu is super simple, you fill it in yourself with the portions you want and hand over to the friendly and attentive staff. They have a medley of drinks from tea, sake and juices. 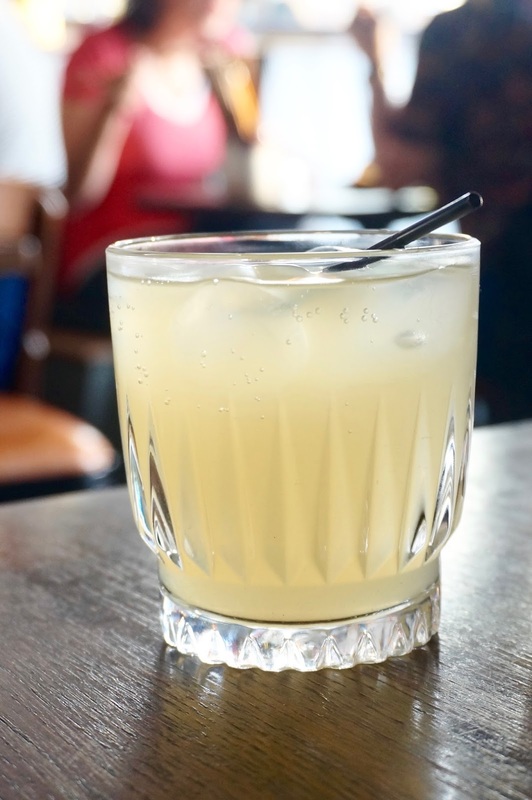 My friend had the Lang Lang, which was a refreshing mix of Green tea and lemonade. 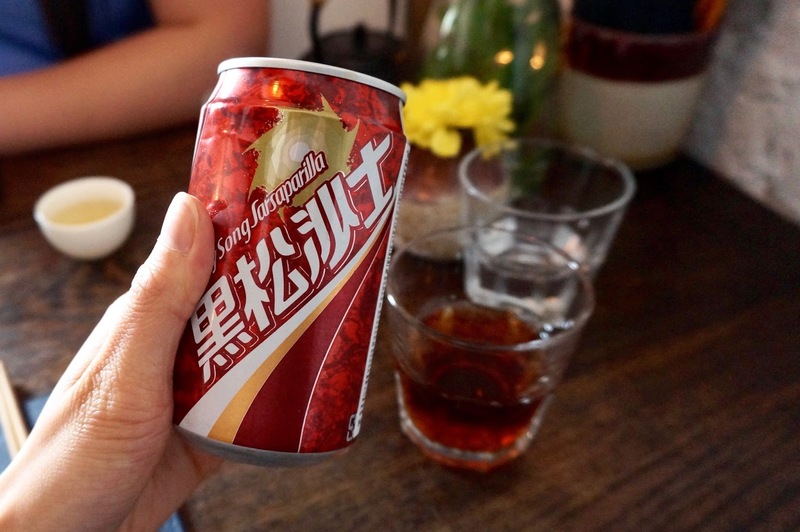 I had the Taiwanese Root Beer, which had an odd taste and was warm, should of asked for ice! 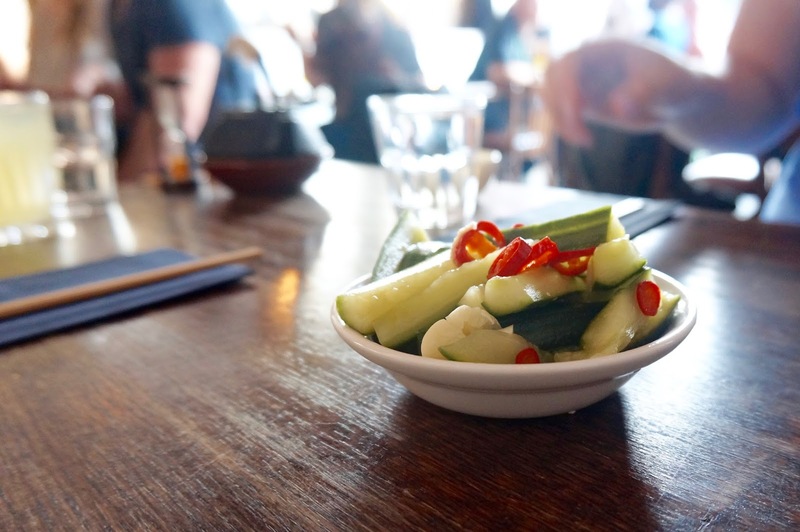 We ordered the smacked cucumber to start off with, if you love pickled veg then you'll love these, they're sour and garlicky and a nice accompaniment to the flavoursome dishes. The sweet potato chips were really nice and crispy, some of the best I've tasted and the wasabi mayo was a nice spicy touch. Onto the baos! There were 3 of us and we chose 5 baos to share, which was more than enough. If you've never had baos before they are fluffy white steamed buns filled with anything from prawns, meats and vegetables. 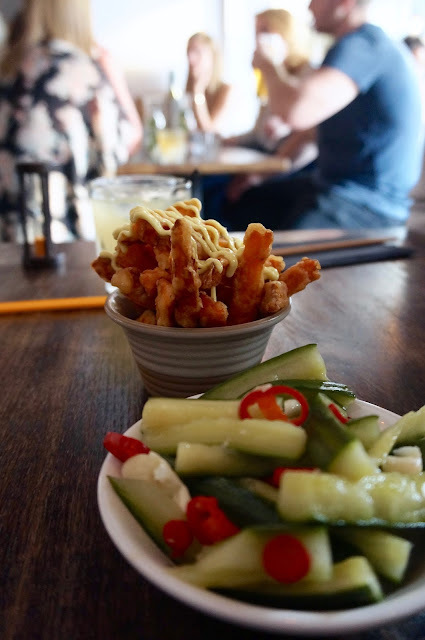 We chose Mr Bao - slow Braised Flock + Herd Pork, Pickles, Peanut Powder, Prawn Bao - Fried Soper's Prawns, Pickled Mooli, Spiced Spring Onion, Bao Diddley - Fried Free Range Chicken, Kimchi, Wasabi Mayo and the Slow Cooked Lamb with Pickled Red Onion and Mint. The Mr Bao were the stand out ones for me, nice and soft, meat was succulent and the peanut powder was delicious! 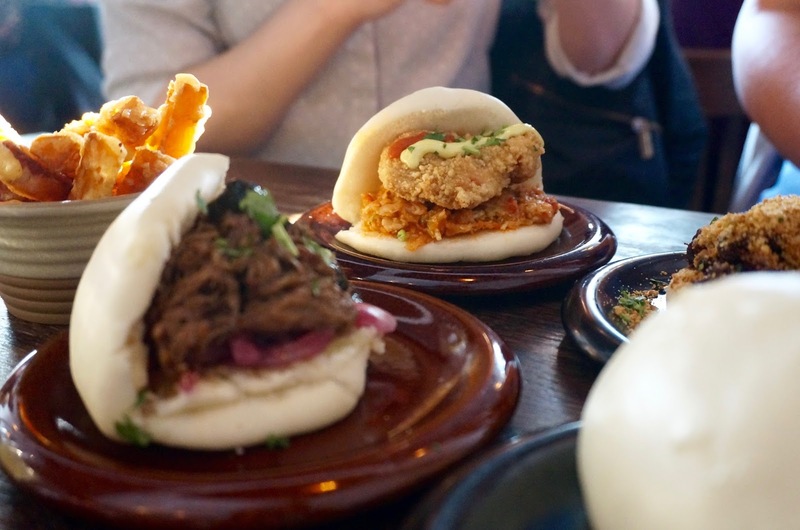 It's the perfect mix of flavour and texture wrapped up in a fluffy bao. I also liked the crunch of the fried prawn bao with the tangy pickled mooli. I like lamb but this bao version was a little lackluster for me. 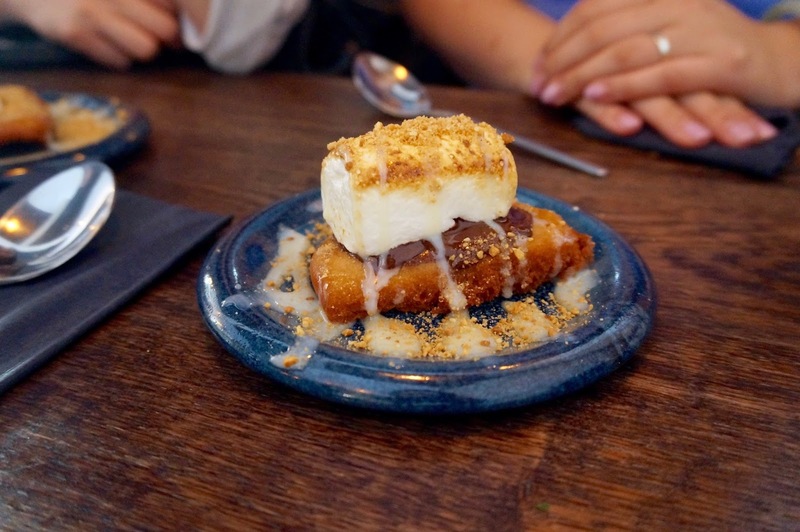 We finished our meal with some Bao S'more - fried bao, toasted marshmallow and melted chocolate. I love desserts with different textures but I'm not overly keen on smores, do you guys like them? I found the chocolate a little too bitter. 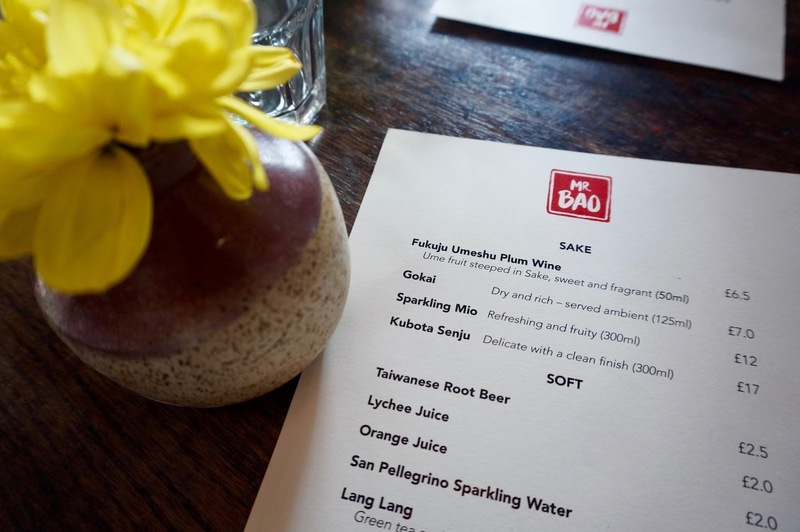 Overall if you want a medley of Asian light bites in a friendly casual atmosphere without the crowdedness of Central London, they check out Mr Bao. They also have a weekend brunch menu, which I would love to try out next time. 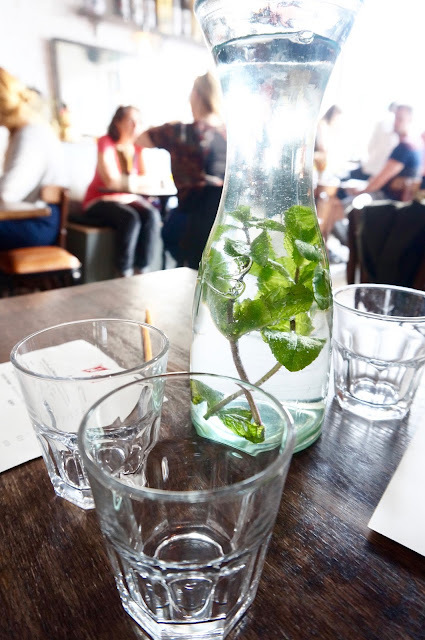 The staff were super friendly as well, clearing our plates promptly and gave us table water without us having to ask. Our meal come to around £42, which I thought was reasonable. 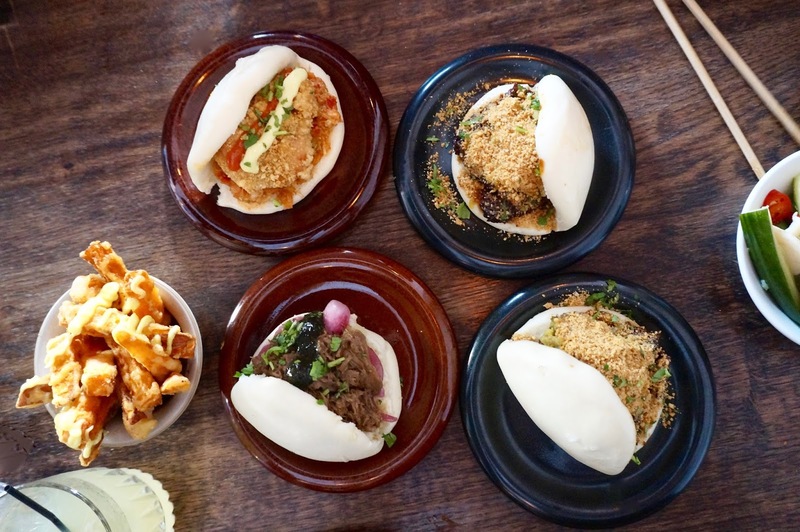 Have you tried baos or Taiwanese food?